When considering the color scheme for your kitchen, many people think about some of the traditional palettes. If this is the way you decide to go, you will want to accent these palettes with more colorful, contemporary colors in the lighting, stool or chair fabrics and window treatments. These are easily replaced when you tire of them, or fashion changes. One of the new color trends in cabinets is gray. Cabinets may be a painted soft shade of gray or more in the field of battleship gray. There are also light and dark shades of gray stains on maple cherry or even oak, which add more texture to your kitchen space. Grays may be used in the island, with white cabinets on the perimeter, or light gray can be used on the perimeter with darker shades on the island. Keep in mind that with white, color contrasts can be much stronger. For example, black on white can be very overpowering. Grays can help tone down complimentary colors that may ordinarily be overpowering and give a calming, cooling effect to a kitchen. Keep in mind, there are so many shades of gray that you will need to choose your other colors carefully. Gray is best used as a complement, and if it’s your primary color, be sure to add visual interest with white, off-whites or other colors. It’s also important to consider countertops in your color scheme. If you’re going with lighter cabinets, darker countertops can add attractive contrast. However, both cabinets and countertops being lighter colors can work. If you decide on a darker tone for cabinets, lighter tones in the countertops are preferable. You don’t really want dark cabinets and dark countertops as it will just make the kitchen space too dark. Keep in mind that painting cabinets and replacing countertops is always an option to change up color schemes but it’s best to find the best combination during design. Check with your kitchen designer for what is available, and discover the many different ways to use color in the kitchen. Most people want to find ways to stretch their kitchen remodeling budget, while still getting all the features they need or want. Many think that getting their cabinetry from a big box store will be less expensive, but in the long run it could cost you a lot more. Anything can be made to look good in a picture. But you don’t live in a picture. If the cabinet boxes are not constructed well, they won’t hold up over years of use. Then they would need to be repaired or replaced. If you design the kitchen layout yourself, you could very well end up finding that the layout doesn’t work well for your needs. You don’t want to make an investment in your home and later say to yourself “I wish I had thought of (fill in the blank for your situation).” Trained kitchen designers bring experience to these decisions and can advise you on the best way to meet your needs for function and aesthetics. The Kitchen Views design team specializes in providing quality cabinetry that is durable as well as pretty. Money can be saved by staying away from painted cabinets, appliances that need matching cabinet panels and very specialized cabinets. One exception is that I believe no kitchen is complete without cabinets for trash and recycling. Having waste receptacles strategically placed makes chores so much easier, and the room looks better. These are just a couple of examples explaining why having a knowledgeable designer is so important. Working with a Kitchen Views designer won’t cost you more; it will actually be the most economical way to get the kitchen you love that will stand the test of time in everyday life. We love what we do, and are excited to help you create a kitchen you will love to live with for years to come. Very few people can afford to say that money is no object when remodeling their kitchen. Most of my clients want to know how to stretch their kitchen remodeling budget to get the most things they want for the least amount of money. My bottom line answer: When budgets are tight, design experience is even more valuable. A knowledgeable kitchen designer is your best budget stretcher. Experience is the best teacher, so a homeowner cannot hope to learn it all even through online research. You should find an experienced designer to guide you through the planning process and the selection of products. If you cut the wrong corners, the cheapest option won’t hold up in the long run. First of all, keep an open mind to what the expert suggests. If you have your heart set on something that is particularly expensive, it could swallow your whole budget. A good designer will help you to include all the necessities while working within your budget, and sometimes even a wish item can be included. Finding the right products is essential, and you need to trust your designer’s knowledge and experience. Also, don’t feel that you have to follow a trend; your kitchen should meet your needs and reflect your style so that you will enjoy it for years. You should spend your money on the bones of the room – the cabinets. But you need to select the right cabinetry for your specific situation and budget. For example, money can be saved by staying away from painted cabinets, appliances that take matching panels and very specialized cabinets. That said, there are still a lot of choices and an innovative designer can show you how stock cabinetry can be used creatively instead of purchasing a specialized cabinet for a particular task. The Kitchen Views design team is renowned for innovative, cost-saving solutions. Call 1.508.DESIGNS (337-4467) to make an appointment with a designer in your area. While Kitchen Views does not recommend any particular brands of appliances, our designers are very familiar with the latest appliance innovations. The examples below are only for illustration purposes, and are not meant to reflect any endorsement. Before you meet with your kitchen designer, it would be a good idea to visit several appliance showrooms to view different types of kitchen equipment. In particular, try to focus on refrigerators, ranges or combination of cook tops and ovens, microwaves and dishwashers (single unit or draw style). The sales person will usually furnish you with spec sheets or model numbers. 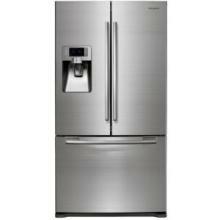 Your designer will then try to incorporate your appliance wish list in your new kitchen plan. Sometimes, there are space limitations or code issues as to why some products may not work in your kitchen. If that is the case, your designer will suggest options and/or work with your appliance representative to come up with the best solution. Since award-winning designer Lee Turner claims she learned her craft “on the job,” she must be a very good student. With over 30 years in sales and over 25 years in kitchen design, Lee’s work has won EM-NARI CotY awards. You can view her profile and portfolio on the Kitchen Views website. Simple, contemporary or modern are some terms used to refer to this sleek clean line style. The door looks like a flat piece of material whether wood, metal, laminate, thermofoil or other type of material. The door may have a four sided square profile and/or rounded or beveled profile along two vertical or horizontal edges or all four. Most manufactures offer wood slab doors in veneer only but a few still cabinet lines offer a solid wood door. Veneer is popular because it is not as affected by climate conditions. Wood panels swell and shrink as the humidity in the home changes with the seasons. 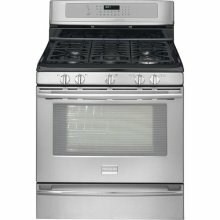 This profile is generally available in full overlay or frameless cabinets. The door frame always consists of solid wood with either mortise and tenon or miter construction. The raised panel, which may be either solid wood or veneer is usually between 1/2″ and 3/4″ thick and has a profile milled into it. The panel, which is available on overlay, inset and frameless cabinets, tends to be more traditional or formal but different wood types, stains and paint finishes provide many options to make this a versatile style. The door frame is the same construction as a raised panel but the center panel is flat. The panel is either ¼” plywood veneer flat or 5/8 reversed raised panel (i.e. 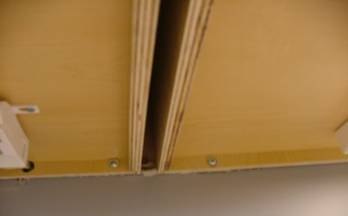 the panel is flipped to face the inside of the cabinet). The panel again may be veneer or solid wood. It looks more like a picture frame and is generally used in a transitional, country, or arts and crafts kitchen. There has been a movement in recent years to add more and more detail to the door frame to enhance the style and give it greater appeal to traditional and formal kitchens. Choose a style that reflects you and your personal style.